This book by Rhoda Baxter really grew on me. It was a trifle slow to start with lots of everyday detail, and I wondered where the story was going. And then there is a huge jump and the story flies. I finished reading it on a plane, exactly the right sort of book for my location as I was completely unaware of the time. This is a romantic comedy about tragedy, grief, death and… no, I won’t give away the clever twist. It also questions how well we actually know the person we are closest to. The endpoint of a lot of romantic comedies is a wedding. This book starts with one, and a car accident. We meet Sally, who is marrying Peter. Sally is bright, bubbly, seems manipulative, and has a gambling problem. I can’t say I took to Sally, who is the first character we meet. On the surface this seems a light and fluffy read but there is much more going on. After the accident, Peter recovers but Sally is in a coma. After months of no response from Sally, Peter meets Grace, another hospice visitor. Their relationship triggers all sorts of issues for the three main characters. I think there is more we could know about Peter, IT specialist, and Grace, scientist, and how their jobs shape their personalities and their attitudes to the situation in which they find themselves. I was three-quarters through the book and realized I didn’t know what Grace’s job was, and had to flick back to check. This is the first of Rhoda Baxter’s books that I’ve read, but will certainly read more. For more about Rhoda Baxter’s other books, click here for her website. 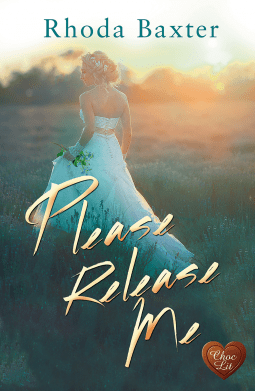 All three main characters in Please Release Me are stuck in some way. I’ve been stuck recently, still am a bit. Mine is a writing dilemma. Click here to find out why.